Mumbai, 15th October 2013 – Gharda Plastics, the high performance engineering polymers business of Gharda Chemicals Limited, launched its speciality lubricious solution for industrial and business appliances, incorporating various reinforcements in G-PAEKTM and GAZOLETM grades. This collaborative development with other industrial partners is aimed at applications that require very high wear resistance. The G-PAEKTM product family is based on Poly Ether Ketone (PEK) and GAZOLE – representing freshly commercialized thermoplastic alloys of PEK and Poly benzimidazole (PBI). The two featured wear grades, G-PAEKTM 1230FCT and GAZOLETM 6430FCT have easy flow characteristics for injection moulding of intricate multi-cavity parts. Their heat deflection temperature of 350 C – 360 C makes them suitable for demanding high heat resistance applications. 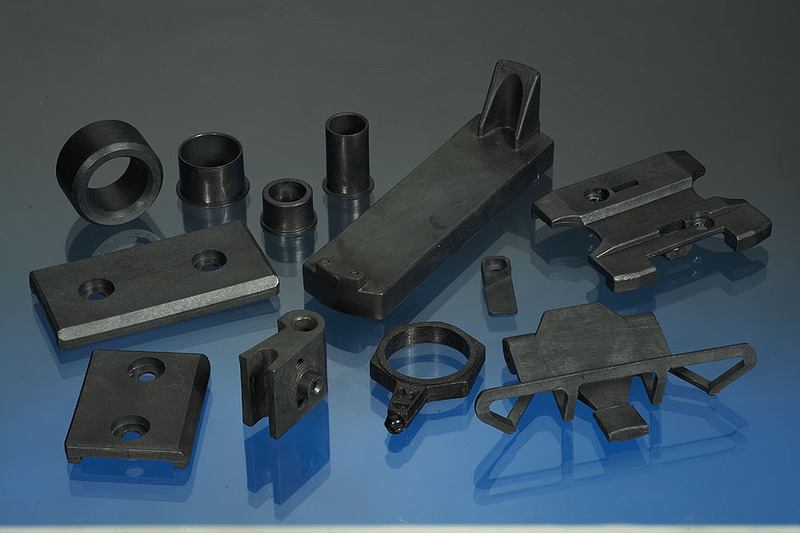 These are far superior in performance to the commercially available engineering alternatives of polyether imides (PEI), Polyimide (PI), poly phenylene sulphide (PPS), poly ether ether ketone (PEEK) – and exhibit exceptional wear, chemical and thermal resistance. Additionally, the G-PAEKTM & GAZOLETM FCT grades display excellent mechanical properties, creep properties and dimensional stability. 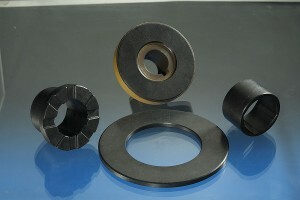 PTFE does have a low coefficient of friction, however its wear resistance especially at high temperatures is poor. The FCT grades also have low coefficient of friction, and display low wear rates even at high temperatures. The comparable specific flexural strength of G-PAEKTM & GAZOLETM FCT grades to metals provides a significant cost savings potential to the manufacturer. Gharda’s high performance thermoplastics offer weight savings, easy machining and moulding options with greater design flexibility. This allows the customer to produce parts with challenging geometries as required. It eliminates the costly production steps that are necessary for metals. The high fatigue strength and high wear resistance with temperature make G-PAEKTM and GAZOLETM FCT grades suitable in the automotive/transportation segment for gears, bearings and bushes. Other key applications of FCT grades are in printer parts and textile parts such as thrust pads, roller bearings and dry lubricating bushes that are continuously moving at low to high speeds and at high temperatures. The table compares wear data for GAZOLE 6430FCT and G-PAEK 1230FCT vs other wear resistant polymeric materials like PAI and PI.